The New York Times published a story this week that seemed to corroborate a key detail about a meeting between former White House communications director Anthony Scaramucci and a Russian investor. The meeting was first reported by CNN last year in a controversial story. CNN retracted the story amid concerns over its accuracy and whether it followed proper editorial procedure. The three journalists responsible for reporting and editing the story were forced to resign. A New York Times report this week about the FBI’s Russia investigation appears to corroborate key details from a story last year that led to the firing of three CNN journalists. CNN reported in June that the Senate Intelligence Committee was scrutinizing a January 2017 meeting between Anthony Scaramucci, who would later become the White House communications director, and Kirill Dmitriev, a Kremlin ally and the head of a sanctioned Russian investment fund. The story cited one anonymous source. After facing public backlash from Scaramucci and others, CNN retracted it the next day, replaced the story with an editor’s note saying it did not meet editorial standards, and apologised to Scaramucci. Three days later, the outlet asked for the resignations of the three journalists who were primarily responsible for reporting and editing the piece. The Washington Post reported that the episode was perhaps one of the most significant and public embarrassments for CNN since 1998, when it had to retract some of its reporting on Operation Tailwind, a US military initiative in which US forces allegedly used sarin gas during the Vietnam War. Employees at the network told The Post that management acted swiftly to retract the story and ask for the resignations of the journalists involved because its publication had violated internal vetting and fact-checking procedures. Enter The Times’ report on Tuesday, which seemed to align with some elements of CNN’s story. In particular, The Times reported that Dmitriev met with Scaramucci at the World Economic Forum in Davos, Switzerland, in January 2017. 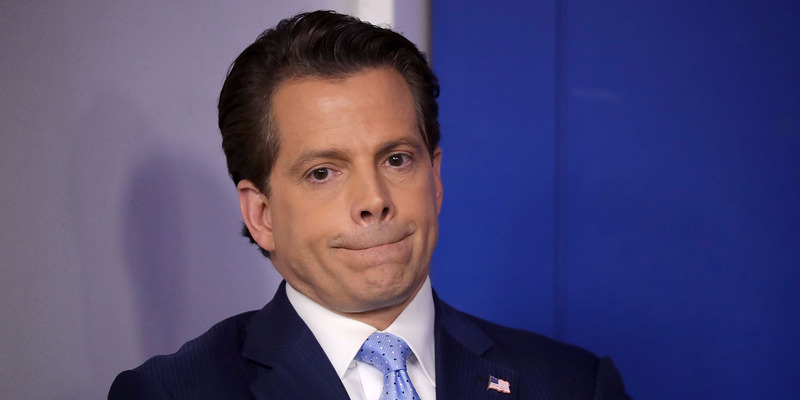 Russian state media quoted Scaramucci as saying, after his meeting with Dmitriev, that the Obama administration’s new sanctions on Russia – which were imposed that month to penalise it for interfering in the 2016 election – were ineffective and detrimental to the US-Russia relationship. The Times did not cite its sourcing when it reported on the meeting. CNN did not say whether any element of its story last year was inaccurate or misleading, but a person familiar with the matter said the issue with the piece centered around its claim that the Senate and the Treasury Department were investigating the Scaramucci-Dmitriev meeting. The Scaramucci-Dmitriev meeting came on the heels of a separate meeting Dmitriev attended in the Seychelles islands. That meeting featured Erik Prince, an associate of President Donald Trump, and George Nader, a Middle East expert and adviser to the United Arab Emirates’ Crown Prince Mohammed bin Zayed Al-Nahyan. The meeting’s purpose was reportedly to create a back channel of communication between the incoming Trump administration and Russia. Emirati officials participated in the hopes of encouraging Russia to distance itself from Iran, a major Kremlin ally. Nader testified to a grand jury in recent weeks about that meeting, as well as another one at Trump Tower in December 2016, as part of the special counsel Robert Mueller’s investigation into Russia’s interference in the 2016 US election. Editor’s Note: This story has been updated to include CNN’s statement on its retracted story.